Being an extrovert, I realized a year into MOPS that I really did get something out of it (my friend dragged me almost kicking and screaming the first few times. I had postpartum depression then and didn’t know it). I learned to lean on my own group of friends from church and that made me realize that perhaps God was calling me to take a giant leap of faith. Thus began my journey to start a Mothers Ministry at my church. I realized the hard way after the first year of motherhood that I was simply not cut out to mother alone, and I was thankful to have my “village” through my church. My heart grieved for mothers who might be in my similar stage of life but not have a village yet, for whatever reason. ✔️ I met with one of the pastors to propose the idea. He was onboard and supportive, and we looked at a few verses in Scripture to help support the ministry to be sure they were in line with our church’s mission, vision, and values. I landed on Titus 2:3-5, but there are a number of other verses throughout the New Testament that point to the purpose of “doing life together” and how God can accomplish His mission through small groups ministries. ✔️ At the outset, my goal for the mothers ministry was fellowship among mothers in our church body. I would love to see God grow this ministry in such a way that we all can have a solid relationship with an older mentor mom. This was something we had at our tables when I attended MOPS (but I only went one year before it disbanded and as a newcomer it was harder to form those relationships. Chemistry is very important and lasting relationships take time to develop). I am raising my kids far from family, and so a spiritual mentor mother is something I’m actively seeking. ✔️ Childcare is often a barrier to entry for many things going on at the church, including small groups, so I wanted to be sure we could provide childcare. Currently, we have been blessed by a few homeschooled high schoolers or college ladies who provide childcare for us. The suggested donation is $2-5/child. I picked a range because I didn’t want cost to be prohibitive for mothers to attend. I, and I know other mothers as well, will often pay extra to cover the cost of someone who might not have been able to. Right now I coordinate the childcare ahead of time, but this is something I would love to task another mother with. We are lucky to have a childcare space in the back of the church office so we can have time away from the children. ✔️ I wanted a consistent meeting place without the burden of hosting, and our church was very generous in donating their meeting space. As a result, I chose to work around their schedule and mine, and so we chose every 2nd and 4th Friday to meet. The first year, I wanted to be sensitive to working mothers. (In MOPS, I noticed it was only stay at home moms who attended, and this felt like a small subset of mothers and an unfair representation of the “village building” potential, so I wanted to be able to include them). In order to do so, I had to work around a standard work schedule. We started out with 2nd Fridays 10:30am-12pm and 4th Fridays 6:30-8pm. As the year went on, the evening groups became lower and lower attended. By the last 2 months, there were many nights when it was just me! After we took a break for the summer, we decided to reconvene with just mornings. So we currently meet 10:30am-12pm on both the 2nd and 4th Fridays. This leaves out working mothers, but I found they weren’t able to come to the Friday evenings anyway. Our meetings are set as a recurring event on the church office’s internal calendar so that the space is always open to us. I was doing an Eventbrite sign-up link for childcare, but that was inconsistent and too much work. ✔️ My church created an email address for the ministry, but most of the moms communicate with me directly, or through Facebook. I also created a Facebook group for the mothers ministry that anyone can be added to (members can add anyone, and admins approve anyone who requests to join). We set up a few basic questions just to make sure the mothers who were interested were local and agreed with our mission to connect mothers in a Christian setting. Being a member or attender of my church was a plus but definitely not a requirement, and I’ve had a few moms come who weren’t attending my church. I try to remember to announce the meetings ahead of time using the graphic below, or similar (usually Tuesday/Wednesday of that week) on Instagram, Facebook, and the email listserv. Our church has biannual Small Group Expos when we get a lot of interested sign-ups, so I use those email addresses when I send out emails to the listserv. However, I’m finding that less and less people are using email for communication like this. Texting or social media seem to be more effective. This is another task I would love to be able to delegate to a fellow mom. ✔️ I made the graphic above by taking a picture of one of my Tshirts and a book I was reading that I’d previously posted on Instagram, and put the pink block over the book with the information for our church. Easy-peasy. 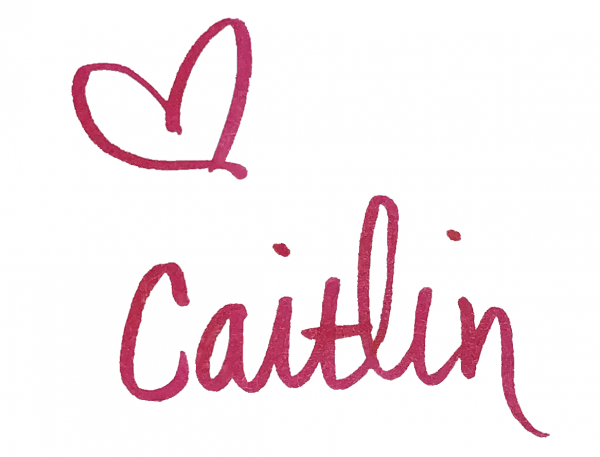 I used Canva because its free and easy if you don’t have or can’t figure out Photoshop. Feel free to use my picture and sub in your own information! I also got them printed as 4″x4″ photos at Walgreens (it’s super easy to print pictures from their app) so I can hand them out to moms as a sort of “flier.” I’ve done real fliers before at FedEx and Staples, and the Walgreens-photo-print is actually significantly cheaper, not to mention WAY easier. ✔️ Initially, we did a book study. I chose the book Desperate by Sarah Mae and Sally Clarkson as a guide for our discussion. It was wonderful, and each chapter had a video and discussion questions as well as a personal journaling opportunity. However, I think some mothers felt because they couldn’t or didn’t read the chapter, that they shouldn’t come to the meetings because they wouldn’t be able to contribute to the discussion. This was absolutely not the case with this particular book. Each chapter could have been read as a standalone, but as a whole they did build on one another. ✔️ We aren’t doing a formal book study, but we are making a point to share with the group any good books we are currently reading. 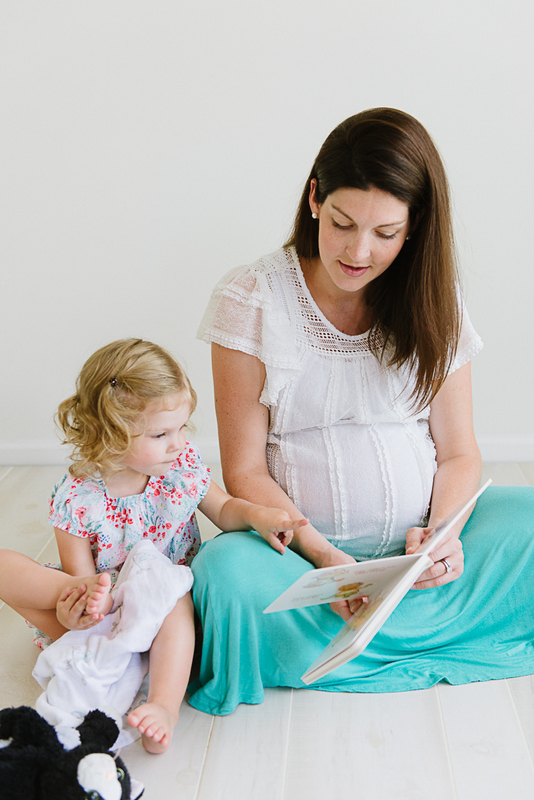 They don’t have to pertain to motherhood, but it’s always fun when they do because it’s relevant to our lives. Aside from this small group, whose goal is fellowship with other mothers, I lead a Bible study on Wednesday mornings in my living room for whoever wants to come. We’re taking our time going through this 11-week devotional Bible study, and I like that that frees us up for just fellowship time on Fridays at the mothers ministry. Some of the same moms come on Wednesdays, but not always. ✔️ Every few meetings, or as we have new mothers come visit, I recast the vision for the group. I briefly introduce the group’s history, and have the other mothers introduce themselves with their name, number of kids, and maybe how they learned about the group or some other ice breaker. I try not to put new members on the spot. I try not to dominate the discussion but give others a chance to speak. I try to be sensitive with regard to language and attitude, while still allowing mothers to feel the safety of the space to share. We talk about our goals for safe fellowship, friendship, and privacy: what’s shared here won’t get shared anywhere else. I also try to guide discussion, when necessary, toward Christian parenting, support resources, or Biblical principles as appropriate. Sometimes we have a mom who really needs to get a lot off her chest, and that’s ok, but I like to give everyone the chance to speak if they want. This makes it feel more like a group of friends and less like one person is always doing all the speaking. It’s also been a good opportunity for my personal growth to be a more active listener. ✔️ We try to open and close in prayer. Someone suggested at one of our first meetings this year that we each write prayer requests down on a card, and then we all take a different card. That way each request is (ideally) being prayed over, but we don’t have to feel overwhelmed at keeping up with all of them. It also allows moms to keep their requests anonymous or more private if they so choose. We offer them the option to write their name/number on the card to be followed up with. ✔️ I provide coffee and refreshments (usually). 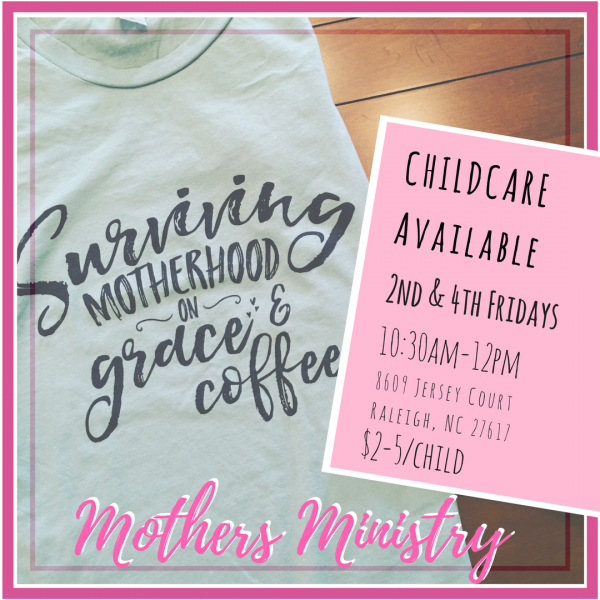 Our church office has a Keurig machine that I am able to use, and creamers, and I encourage moms to bring refreshments. Usually for the first few meetings I will bring some cookies or muffins. I also provide Cheerios for the children during childcare. Moving forward, I would like to see a more regular refreshment schedule. I think this will encourage more people to come and get involved (who doesn’t love food?) and will help share the responsibility of providing refreshments. ✔️ True mentoring relationships for each of the mothers. Our group is NOT limited to pre-schoolage children the way MOPS is, but many mothers, especially initially, assumed this was only for mothers of small children. My hope is that as we grow in size, more mothers will feel comfortable coming, even if they are out of the baby and toddler stage. I personally want mothers of school age children and beyond to come – how else will I find my mentor? ✔️ Spiritual growth. Leaning on one another, building a village, and seeing the Lord work in other mothers has been vital to my spiritual growth. Being a part of an active church body has, too. Sometimes these things take time, but my hope is that a mom who might not have otherwise felt connected will experience a desire to take deeper steps of faith after finding a connection with others in her church. Doing life together encourages spiritual growth – even Jesus didn’t spend all His time alone! ✔️ Gospel-centered parenting as a result of having a “village” of other Christian mothers. Having “seasoned” mothers of older kids around me has been so crucial. 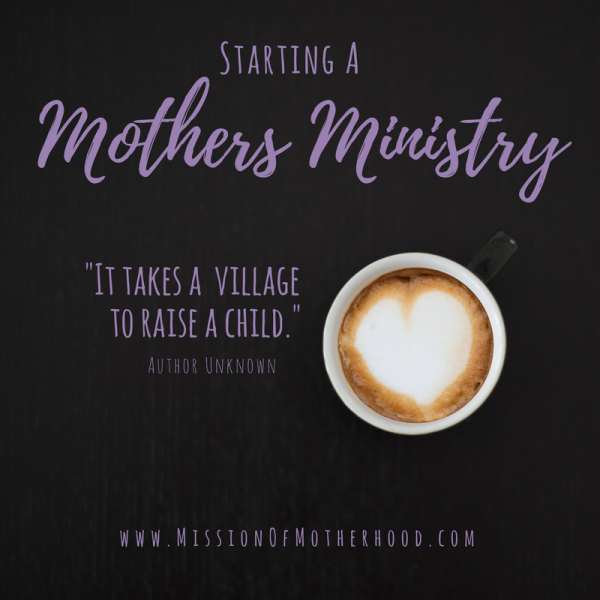 Learning from their mistakes, making my own, trying strategies that worked for them are all ways we can be working toward mothering from a place of grace and a focus on God. ✔️ Co-leadership and delegation. I enjoy what I’m doing, but I know I will not be able to do it well all the time, so having a team to delegate to will be vital. I also know that sometimes God has us in places for a season, so I trust Him to bring the next set of leaders alongside. Being able to share the responsibility of leadership will be a huge blessing! We’ve added a few admins and moderators to our Facebook group, and that’s helpful! ✔️ Fellowship outside of our regular Friday meetings. One of the moms this summer suggested that when the weather is nice we meet on another day at a local park for play dates! I love this idea and would love to see it materialize. ✔️ Special events and speakers. Currently our church is lucky to have a robust women’s ministry. However, while all mothers are women, not all women are mothers, so our mothers ministry does fit a niche. I would like to see the mothers ministry grow to a point where we can have speakers and events relative to the stage of motherhood. It’s a lot, but it’s been worth it. Do you have any comments, questions, or suggestions? Have you ever done anything like this? How, and what was the result? I’d love to hear in the comments!